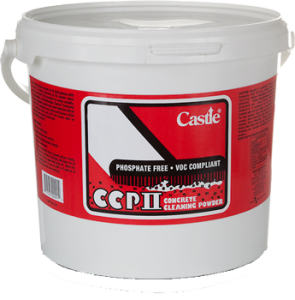 Castle® CCPII™ is a second generation powdered concrete floor cleaner. It was developed to attack greasy and oily floors. 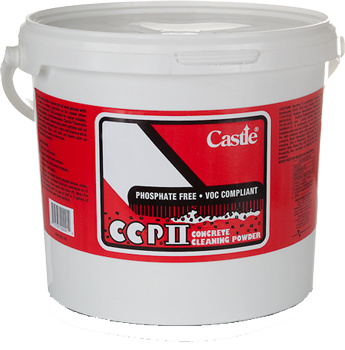 Castle® CCPII™ will not harm concrete or sealer when used as directed. It is a biodegradable, water-soluble, non-flammable formula. Product will show blue color on floor surface when wet, as an indicator that coverage is complete. 2. Spread cleaner over surface, let sit 5 – 10 minutes.